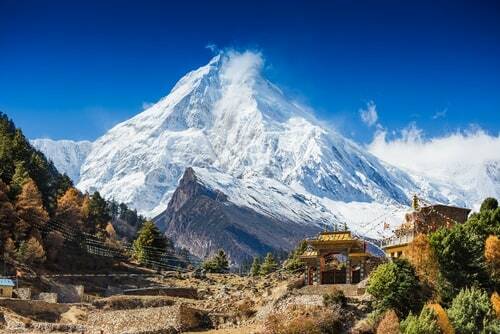 Nestled at the foot of the Himalayas, Nepal will sure be there to welcome you with open arms. Whether summer or winter, you’ll have the tropical landscapes of the south and the high snowy mountains of the north to amaze you. On sunny days, you’ll enjoy crossing throughout its charming cities for a wonderful trek or ATV ride. When the cold strikes, the Himalayas and the surrounding mountains will make you enjoy a magical winter for unforgettable mountaineering or skiing experiences. The boldest will have the opportunity to practice rafting on swirling waters or bungee jump in the Himalayan gorges. Admittedly, Nepal offers postcard-like landscapes, but with something more. Its unique nature contrasts with its numerous temples and gathering sites. Enjoy this extraordinary show when visiting temples of Kathmandu, Patan or Bhaktapur. Last Updated: November 02, 2018 16:34 ESTThe Health tab was updated - travel health information (Public Health Agency of Canada). If you are a victim of health complications whilst in Nepal, you should visit the International clinic or CIWEC Clinic in Kathmandu. If staying in Patan, the Patan Private Clinic is affiliated with the Local Hospital. Rest assured that the care in these facilities is efficient and provided by competent doctors. Medicines are easily accessed in pharmacies, yet bringing a medical kit with you is essential, especially if you are planning to travel to remote areas. If you need an emergency service, contact the Red Cross or dial 102 for medical assistance. However, in the event of serious health problems, it is possible to be evacuated to another country. Is Nepal Safe for Travel? Both, a visa and a passport are required to enter Nepal. Your passport must be valid for at least six months beyond the date of departure. Please note that this is the website for the Canadian High Commission in India.